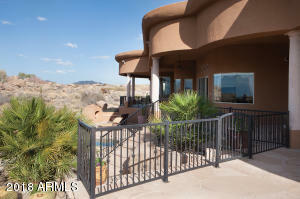 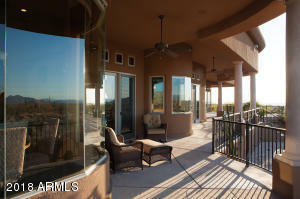 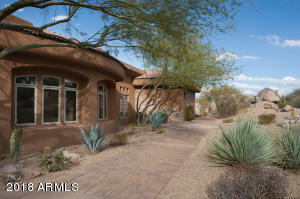 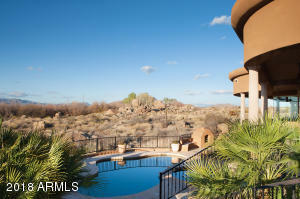 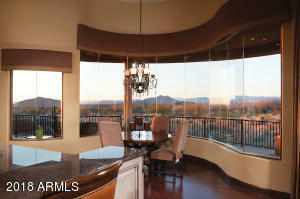 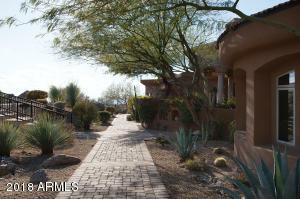 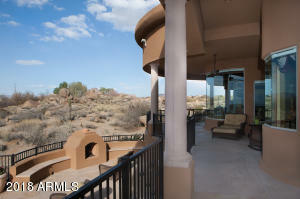 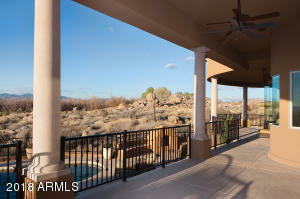 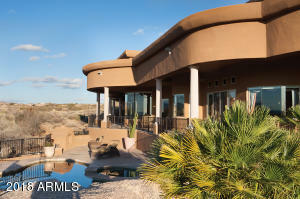 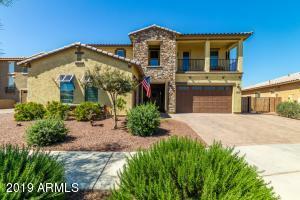 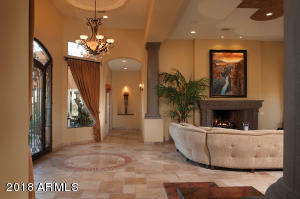 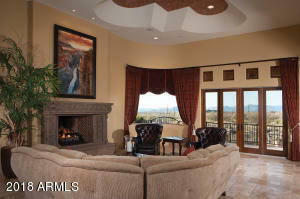 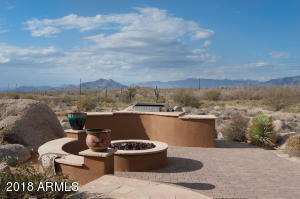 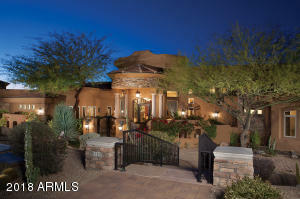 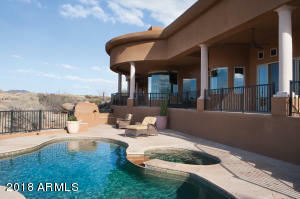 Breathtaking vistas comes with this home on 1.42 acres located in the gated golf community of Talus at Troon North. 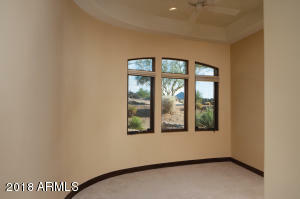 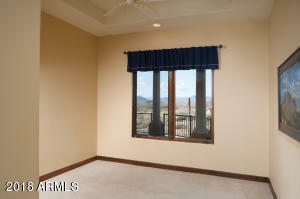 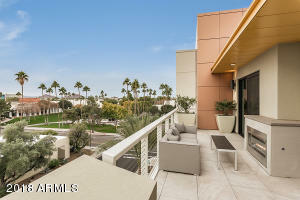 Spacious 4 bedrooms, 4.5 baths plus office/den. 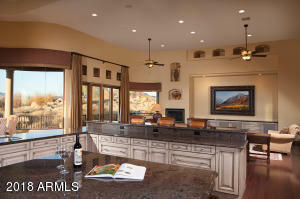 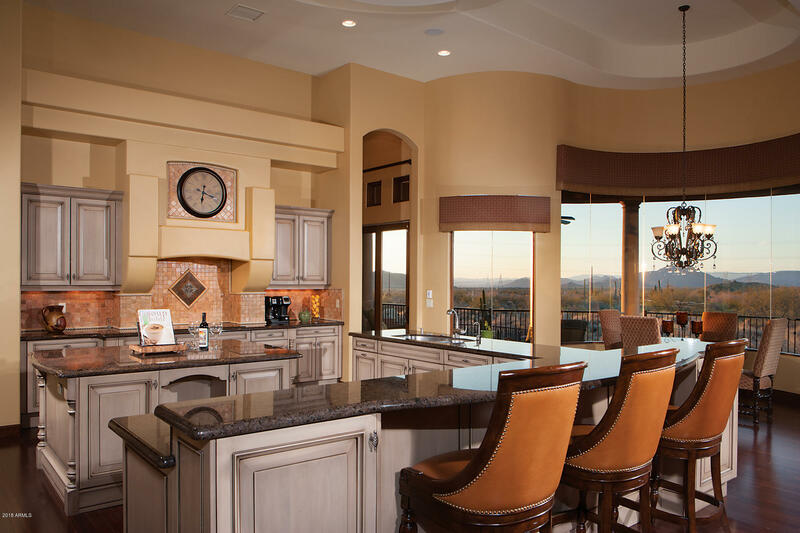 The Gourmet kitchen has slab granite counters, center island and breakfast bar. 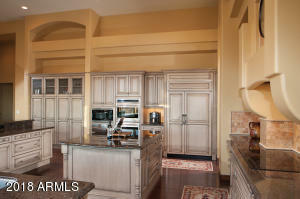 It is equipped with Wolf gas cook top, double ovens, warming drawer and a sub-zero refrigerator. 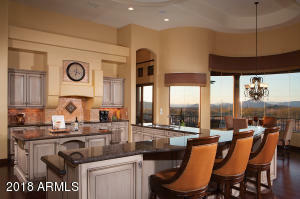 The kitchen opens to a spacious family room with fireplace. 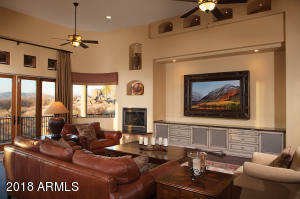 The iron door front entry opens to the formal living room with fireplace and adjacent formal dining and wet bar w/wine cooler & ice maker. 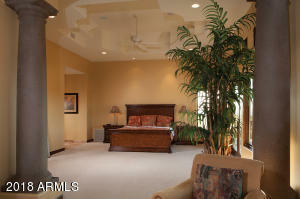 The split Master suite has a sitting area and dual vanities. 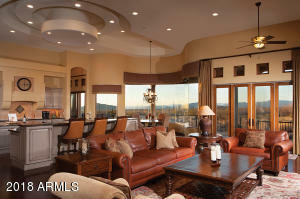 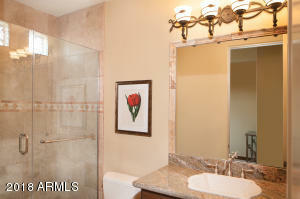 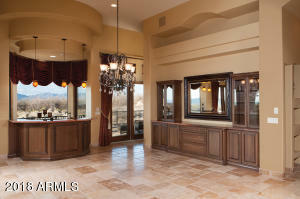 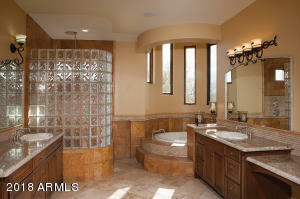 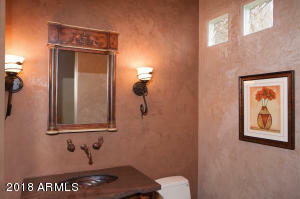 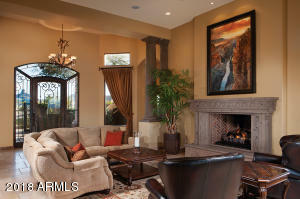 Fine finishes include beautiful wood & Travertine floors and granite counters. 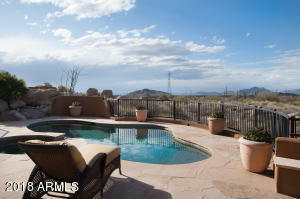 Resort style backyard with expansive covered patio, pool, spa, BBQ, fireplace and fire pit. 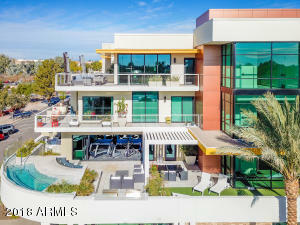 Oversized 4 car garage.